Thinking of heading to a Carnival in 2019, but not sure which one to choose? Here’s a run down of the most popular and interesting carnivals around the world, as well as how to know which carnival is perfect of each type of traveler. Woman in traditional dress at the Ati-Atihan Festival, Panay, Philippines. Parade at the Ati-Atihan Festival, Panay, Philippines. Frolova_Elena / Shutterstock.com. 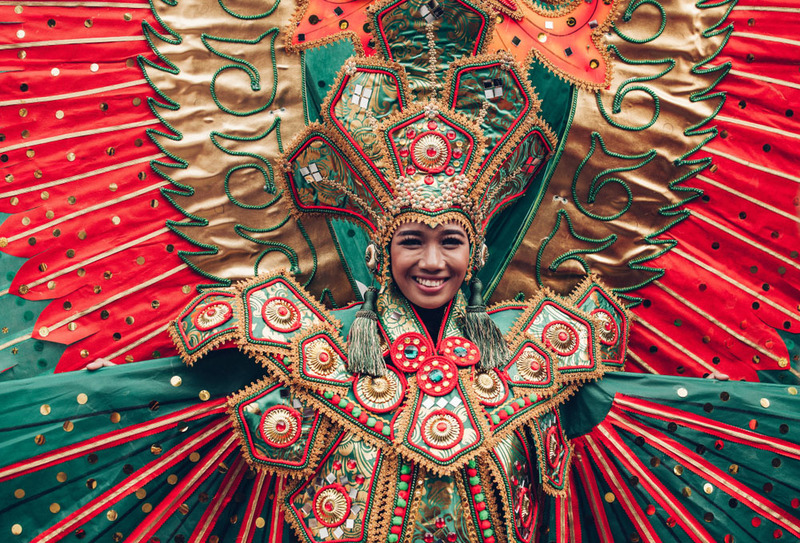 Nicknamed “the Mother of all Philippine Festivals,” Ati-Atihan is a festival of tribal dance, indigenous costumes, music, and parades, all in honor of the Santo Niño, or Baby Jesus. It’s a strange mix, however both Christians and Non-Christians alike take part in this wildly popular festival, which has sparked copycat celebrations such as Sinulog Festival in Cebu or the Dinagyang festival in Iloilo City. 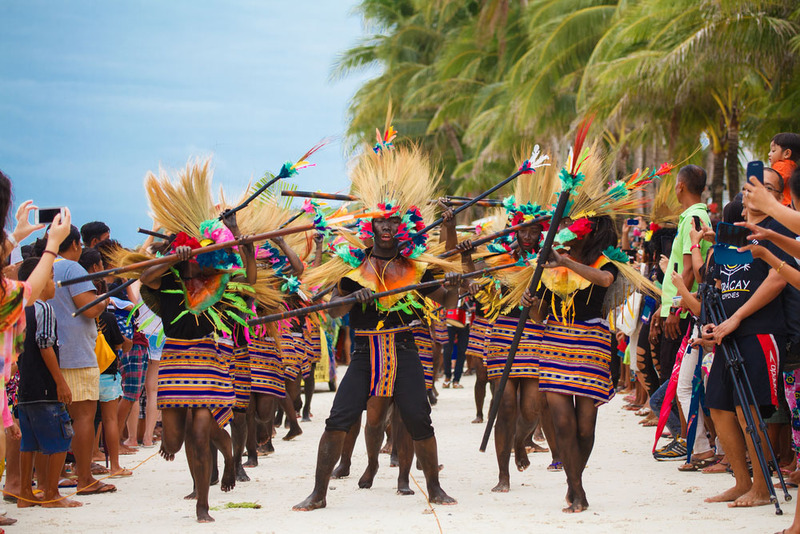 Held on the third weekend January on the island of Panay in the Philippines, the Ati-Atihan Festival is a place where indigenous and Christian beliefs collide in a spectacle of color and dance. Follow the spectacular street parades and shout “Hala Bira” along with animated crowds, or marvel at the mesmerizing indigenous dance competitions that will impress even the most experienced Carnival connoisseurs. The Burning of King Momo Festival on the Caribbean island Bonaire. King Momo has long been the spirit animal of Carnival. Momo is a relic of the Greek god Momus, who was the god of mockery and satire, and long ago he was adopted as the patron saint of Carnivals. In Roman times, a handsome man was chosen to be King Momus and reign over the Saturnalia festival. His job was to encourage others to eat, drink, and indulge, while doing the same himself, at excess. At the end of the festival, he was sacrificed to the gods. In the ABC islands of Aruba, Bonaire, and Curacao, the King Momo tradition continues. A larger-than life effigy made of wood and papermaché reigns over the Carnival festivities. He’s carried through the parades and parties, and then ceremoniously set on fire on Fat Tuesday in a nod to his Roman origins. Pyros or Burning Man fans, this is the Carnival for you. You can’t talk carnivals around the world without mentioning the Caribbean. For those with dancing fever, there is no better place to spend the pre-lent season than Trinidad and Tobago. 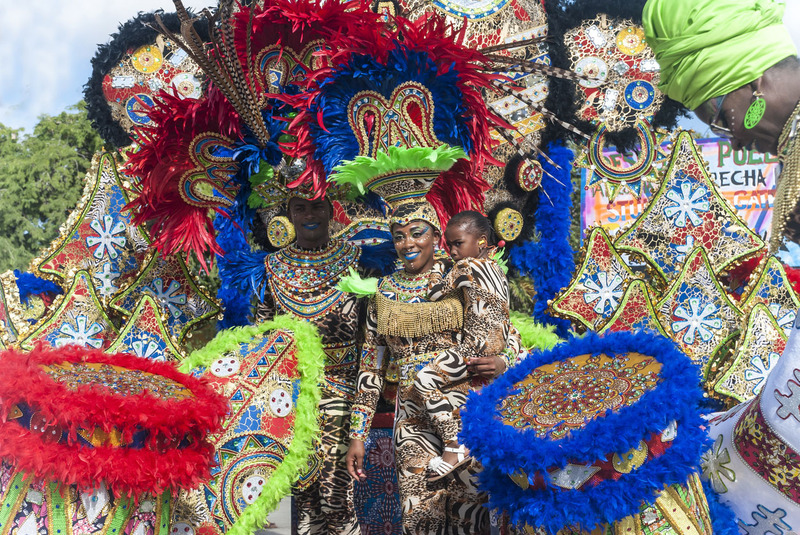 The Caribbean’s largest and best known Carnival celebration dates back to the 18th century on these two southern Caribbean islands, but it was the abolishment of slavery in 1838 that really fed the festival’s cultural explosion. J’ouvert, the opening festival, takes place at 4am on the first day of Carnival, followed by an eruption of colors, energy, and music that lasts until the opening of Ash Wednesday. From the beginning to the end of the Carnival season, the one constant you’ll find is dancing – in the streets and everywhere else it’s possible. One of the most popular forms of dancing is a provocative hip-gyrating, free-for-all known as “wining,” that’s done to Soca music – although in 2019’s #MeToo conscious Carnival, you must get consent before “having a wine” with a stranger. Patras Carnival in Patras, Greece. Aerial-motion / Shutterstock.com. 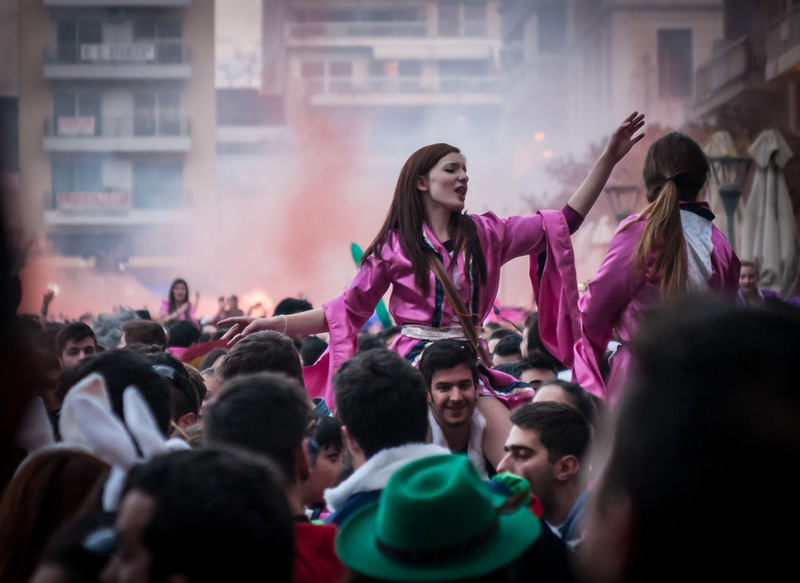 Who knew Greece was home to one of the best carnivals around the world? 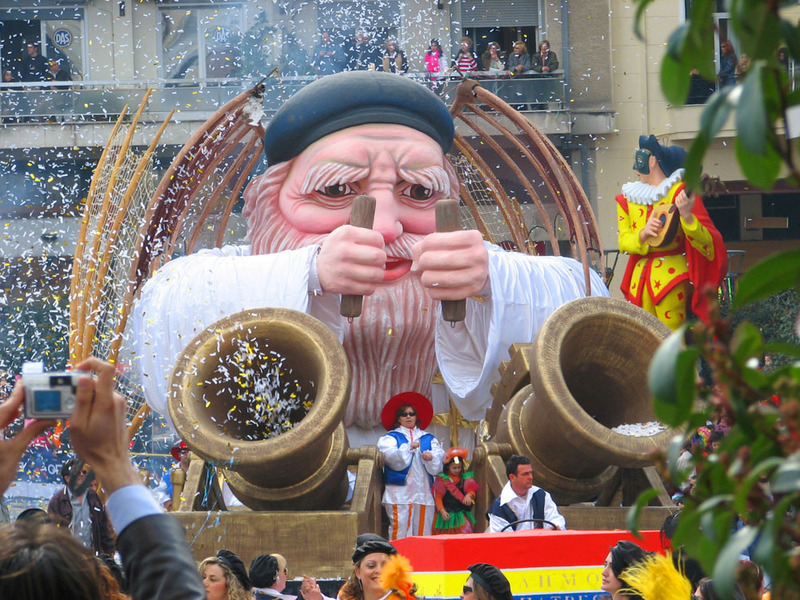 The Patras Carnival is one of the biggest Carnival events in Europe, however it remains surprisingly unknown outside of Carnival-lover circles. Yet it’s been around for more than 180 years, and includes a long list of of events from balls, to street parades, to the burning of the Carnival King, to one of biggest Children’s Carnivals around the world. Patrino Karnavali, as it’s called in Greek, is tied to the Greek Orthodox calendar, however it also has close ties to ancient pagan festivals honoring Dionysus. During the festival, the city center is overrun with revelers, who drink Mavrodaphni, a thick, syrupy sweet wine in the streets, and feast on as much BBQ meat as they can stomach before the festivities end for lent on ‘Clean Monday’. While the carnival officially starts three weeks before lent, the final week is the most extravagant. While parties rage in the street and balls take place behind closed doors, the faithful prepare for the final parade on Carnival sunday, where an endless stream of floats make their way through the streets to delight 30-40 thousand onlookers. The festivities go down in flames with the burning of the Carnival King Float on Sunday night at the St. Nikolaos Street pier. It’s a spectacle not to be left out of any Carnival calendar. Devils dancing in San Francisco de Yare, Miranda, Venezuela. GabrielaNavarro / iStockPhoto.com. Just inland from the Venezuela’s Caribbean capital, a 300 year-old religious tradition is also one of the most spectacular carnivals around the world. 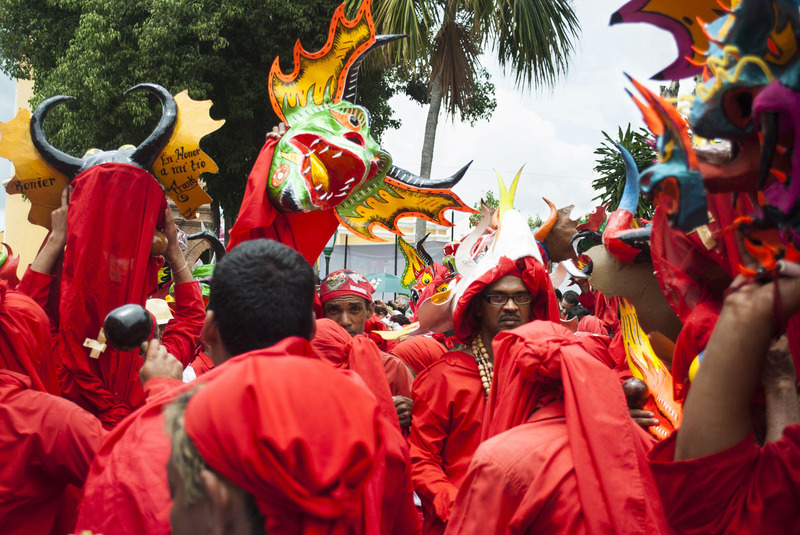 Los Diablos Danzantes is exactly that – devils dancing through the town of San Francisco de Yaré on the day of the Corpus Christi feast. This Afro-indigenous celebration commemorates Venezuela’s origins, and it’s so culturally significant that it’s protected as a UNESCO Cultural heritage event. The keepers of the festival, the Societies of the Holiest (Sociedades del Santísmo), are the oldest brotherhood in the Americas. These 11 societies plan all of the festivities, and each dresses their Devils in bright colors and hideous masks before parading them through the streets in festival song and dance as a tribute to their ancestors. If you’re looking for an off-the-beaten-track, true cultural experience, Los Diablos Danzante is the carnival celebration for you. Regatta parade at Carnivale, Venice, Italy. 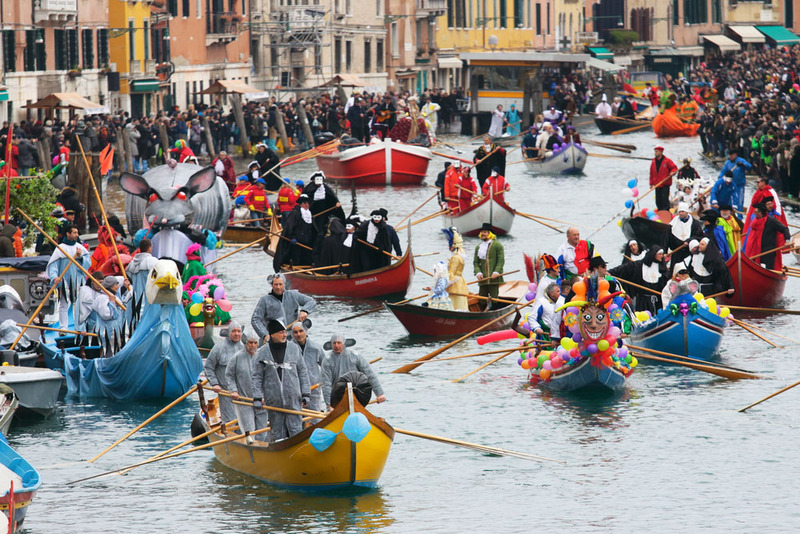 The award for one of the most extravagant carnivals around the world has to go to Venice. The predecessor to nearly every other Lentian Carnival celebration, the Venetians have been partying in the street since 1162, when they celebrated the victory of the Republic of Venice, by dancing in San Marco Square. It became an official holiday in Venice in 1296, and at its peak in the 17th century, festivities lasted six weeks, from December 26 to Ash Wednesday. 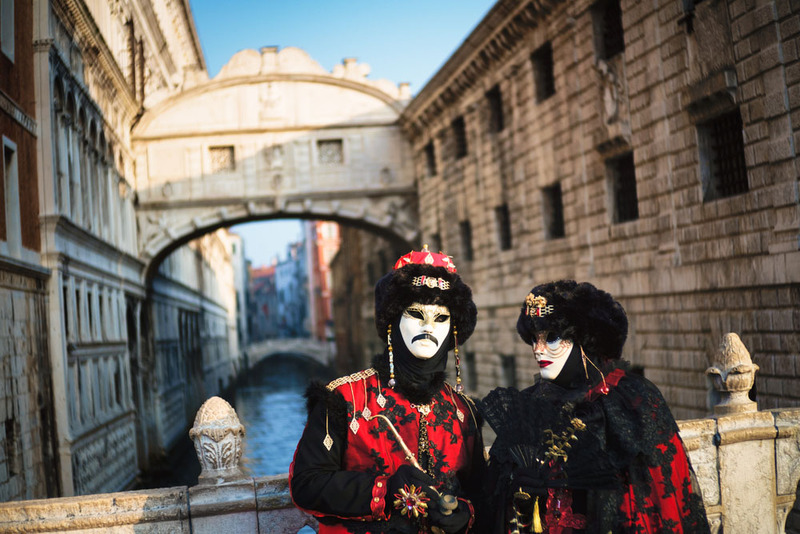 Venetian Carnevale may be best know for a tradition that was once outlawed. The use of intricate masks was originally a way that revelers could remain anonymous, relieving them of the strict behavioural rules of their social classes so they could really let loose. However, the masks also led to an increase in crime, so they were first banned at night in the 1300s, then completely in 1797, with the the exception of at private parties at the Venetian palaces. In the 1930s, Mussolini banned carnival festivities completely and Carnevale nearly died out, however in 1967, a group of Venetian artists got together and revived the celebrations, along with the ancient art of mask-making. Now, nearly 3 million people travel to Venice every year for Carnevale to join this ancient celebration of freedom with street performances, traditional costumes, and the highly anticipated extravagant masquerade balls. If you love an elegant soiree with no rules, Carnevale needs to be on your travel list. Party goers at Fiesta de San Fermín, Pamplona, Spain. Migel / Shutterstock.com. A band on the square at the Fiesta de San Fermín, Pamplona, Spain. Migel / Shutterstock.com. 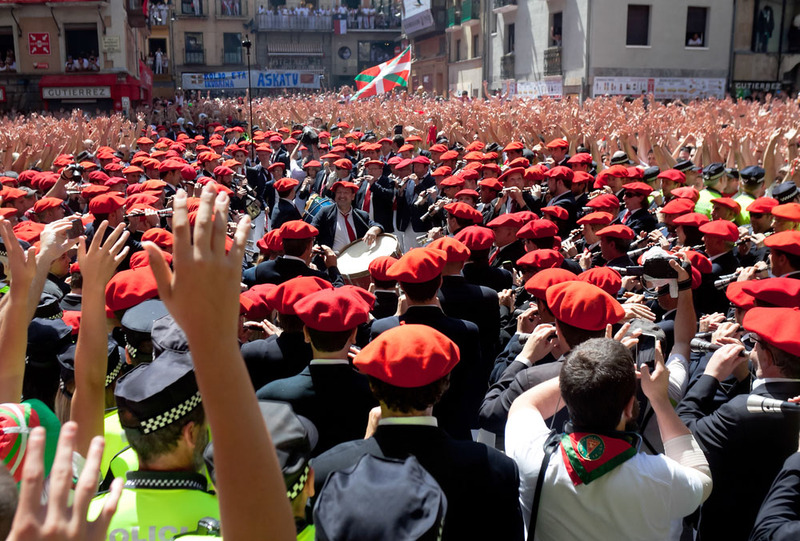 The Fiestas de San Fermín are best known for their closing – the infamous Running of the Bulls. This incredible nine-day festival however, has so much more to offer the party faithful. Like all carnivals around the world, the Sanfermines are a mix of music, dance and ancient traditions kept alive by passionate citizens. 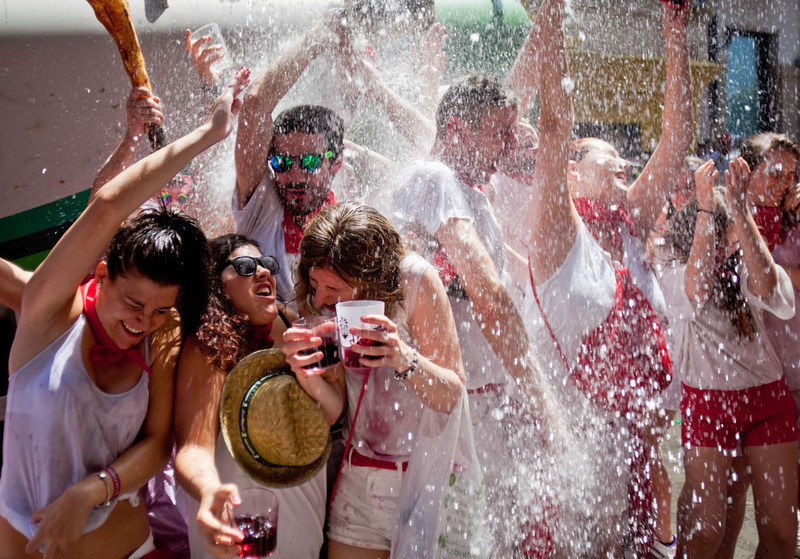 And like any other Carnival-esque festival, the essences of the Sanfermines lies in the breaking down of social barriers in the face of an overly-restrictive church-led society. Parades of Giants and Big Headed humans remind us to believe in more than what’s out there; the one night stands and all-night street parties give revelers license to let loose. Mardi Gras Parade, New Orleans, LA. GTS Productions / Shutterstock.com. Beads at Mardi Gras, New Orleans, LA. One of the most famous carnivals around the world has to be Mardi Gras. 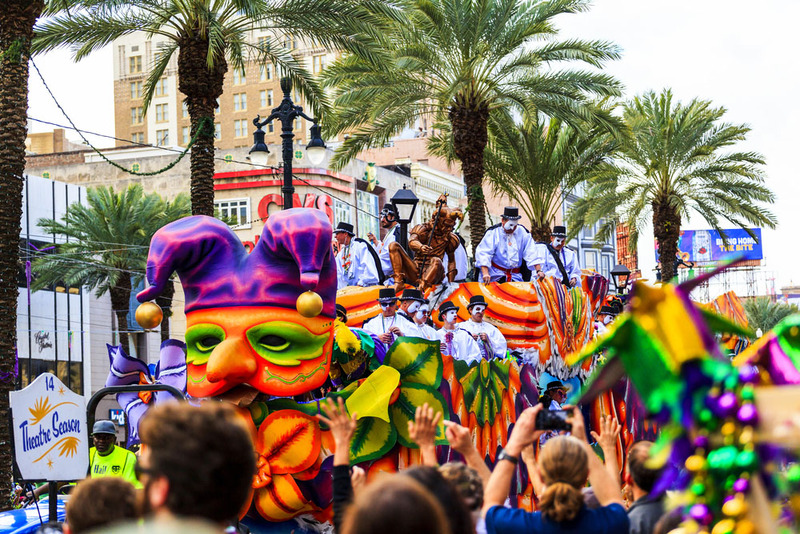 Carnival landed on American soil thanks to 17th century French explorers Pierre Le Moyne d’Iberville and Sieur de Bienville, who arrived in present day Louisiana on March 3, 1699. When they realized that it was Fat Tuesday (aka Mardi Gras, in French) back home, they dubbed their landing spot Point du Mardi Gras and held a party. The Mardi Gras tradition has since grown into a million-reveler celebration, which includes everything from street parades a lá Rio, to elegant society balls like the Venetians host. While Alabama actually lays claim to the oldest Mardi Gras celebration (d’Iberville and Bienville established their first settlement near modern day Mobile), the largest and most decadent is definitely held in New Orleans. 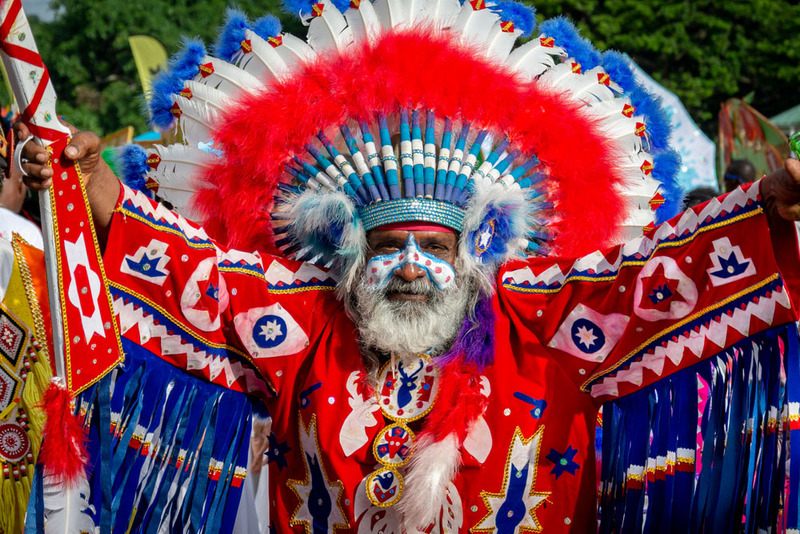 Receiving more than 10 million visitors, this celebration isn’t just an awesome party – it’s a culture and tradition-lain festival where secret societies, beaded indian battlers, fire dancers, and flying beads fill the streets for weeks until the fall of Ash Wednesday when lent begins. 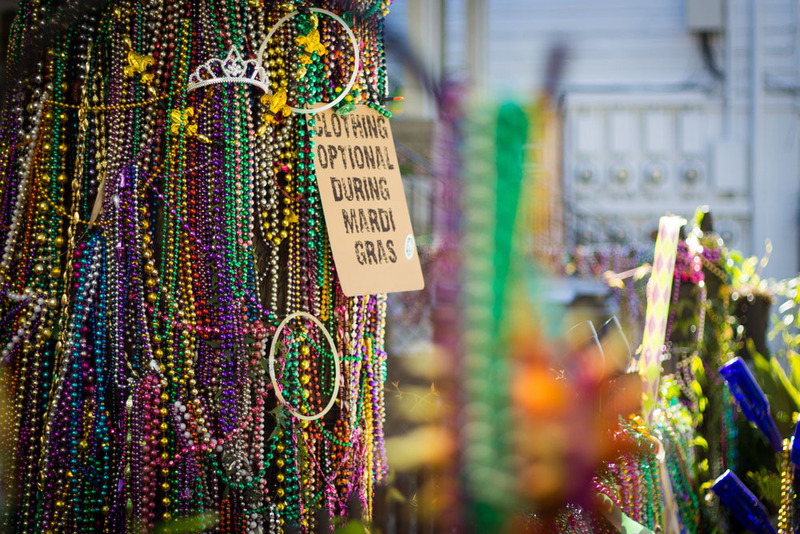 If you love beads, battles, and some amazing music, you’ll need to head to New Orleans this pre-lent season. Giants Parade at La Mercè Festival, Barcelona, Spain. Bestravelvideo / Shutterstock.com. Fire Run at La Mercè Festival, Barcelona, Spain. David Ortega Baglietto / Shutterstock.com. 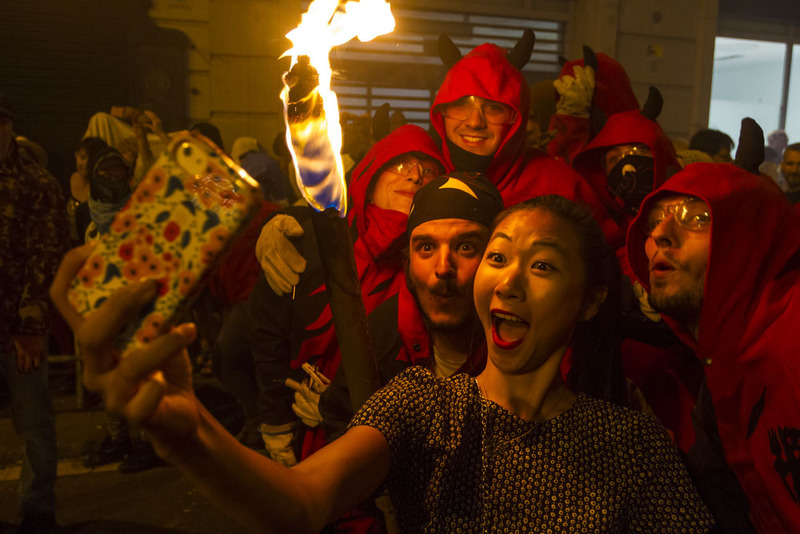 La Mercè may not have the size of other carnival-esque festivals, but it does have all the devils, fireworks, and walking giants you’ll need to make you feel like you’ve been transported into another universe. 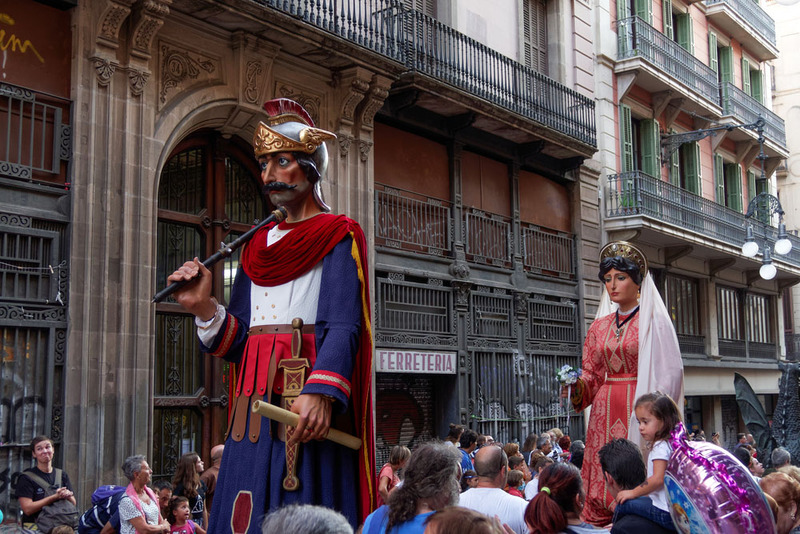 The festival celebrates the Virgin of Grace aka ‘La Mare de Déu de la Mercè’, who is said to have saved the city on September 24th, 1218, and then again in 1687. Celebrations in her honor have taken place since the Middle Ages, and in the late 19th century the La Merce festival was made an official holiday. To this day, La Merce is the best opportunity to experience Catalan cultural and traditions, including the fiery correfoc – where masked devils run through the streets lighting and throwing fireworks, la sardana – a traditional circle dance, the ball de gegants – a parade of giant papier-mache figures through the streets, and the castelles – the giant human pyramids built in the streets and topped with a child, which have even been named a UNESCO Cultural heritage spectacle. If you love a good party mixed in with ancient traditions and lots of fireworks, stop by La Merce next September for an unforgettable spectacle. While there, check out our guide to some of the best cities in Spain. Carnival Parade, Rio de Janeiro, Brazil. T photography / Shutterstock.com. 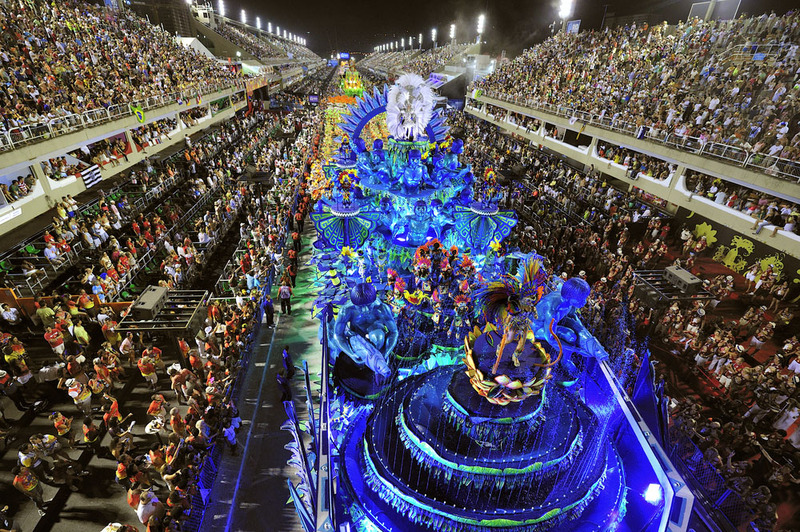 Carnival in Rio de Janeiro may be the mother of all Carnivals around the world. This seemingly endless festival is truly one of the people, where all social convention is dropped and the entire city stops to party for seven (or more) lost days. Many in Rio live for Carnival, practicing year-round to dance with their Samba school in the highly competitive Samba Parade, which is something akin to the Superbowl of carnival. These Samba schools began appearing in the 1920’s, but they were too expensive for everyone to take part, so in the 1930’s Carnival took to the streets. Neighborhoods and groups joined together to create their own elaborate street parades called blocos, which unlike the samba parade, were free of charge. Thus, Carnaval da Rua, or Carnival in the Streets, was born. 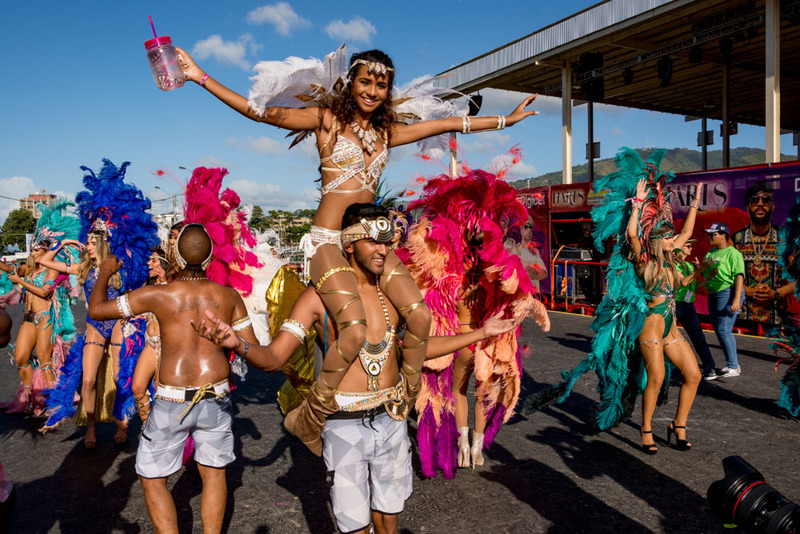 Today, these street parties continue on in all their splendor and excess, with some of the most popular starting at 5am, snaking through the city streets and then taking over a public square before disappearing hours later, as revelers head on to the next bloco. Rio carnival is carnival at its truest, where social norms disintegrate and “real life” is at most a distant memory. For true Carnival spirits, take a pilgrimage to Rio and head to Carnival 2019. Carnival Parade, Rio de Janeiro, Brazil. A.PAES / Shutterstock.com. Did we miss any carnivals around the world? Comment and let us know!